It probably won’t come as a great surprise to most that Gary Cherone’s new project Hurtsmile has a lot of elements of his main gig, Extreme. It’s not a complete accident, either. The core of the band is formed by Cherone and his brother, Mark. They’re joined by bassist Joe Pessia, a veteran of Nuno Bettencourt’s Dramagods, and drummer Dana Spellman, who was a student of former Extreme drummer Mike Mangini. Throw in the fact that Mark Cherone and Bettencourt’s brother once played in a band together, and it’s a pretty tangled knot between the two bands. That said, though, the record is certainly not just an extension of Extreme. There are a lot of other influences that run through the songs, ranging from Alice in Chains-style grunge to prog-rock blasts of instrumental virtuosity. 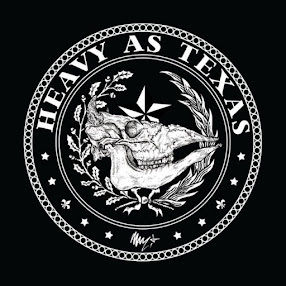 The album bolts out of the gate with the punk-influenced “Just War Theory,” which finds Cherone doing his best Johnny Rotten impression. Then the band brings the funk with “Stillborn,” one of the strongest tracks to be found here with a huge, memorable guitar riff. “Love Thy Neighbor” turns a grungy verse into a 1970s glam chorus, and “Kaffur (Infidel)” finds Pessia showing off his skills and Mark Cherone proving himself nearly the equal of Bettencourt. “Jesus Would You Meet Me” plays like a cross between Led Zeppelin and Extreme’s “Hole-Hearted,” but it’s packed with energy and completely infectious. The album loses its way on a few numbers where the band falls into “III Sides to Every Story” territory. “Beyond the Garden – Kicking Against the Goads” is the best example, with its soft symphonics, it would have been right at home on the aforementioned Extreme album, but unfortunately, to me, that’s the band’s weakest work. Likewise, the ballad “Painter Paint,” kind of drags, and a reggae reprise of album opener “Just War Theory” falls flat. Let’s face it, four white guys from Boston were just not created to do reggae. 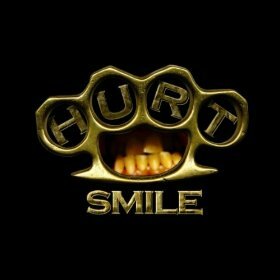 “The Murder of Daniel Faulkner” helps Hurtsmile recover to close the album. A largely acoustic ballad that tells the story of the slain Philadelphia police officer, the song features some tasty, heartfelt guitar licks. Cherone occasionally takes on a reedy, Bob Dylan-like delivery, which can get a little annoying, but is easily overlooked. With Hurtsmile, Gary Cherone has put together a band that’s at least the equal of Extreme, and for the most part, the songs here are solid. Pessia’s bass work is quite impressive, and Mark Cherone’s fretwork shines. It’s a tough spot, seeing as how Gary Cherone’s previous guitar players have included Bettencourt and Eddie Van Halen, but he’s up to the challenge. The songs here are fairly diverse, but still give Extreme fans that kick of funky hard rock they crave. You couldn’t ask for much more from a debut hard rock record. A review copy of this album was provided by the label. Still Spinning: Alice in Chains, "Facelift"
Review: Nekromantheon, "Divinity of Death"